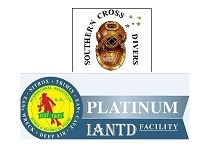 The Diver Training Facilities associated with IANTD Australasia are listed below in alphabetical order and also according to whether they are a Registered Facility. Registered Facilities provide a more comprehensive and higher level of IANTD services, often including Divemaster and Instructor Programs. You can find a similar listing of our registered Instructors here. Comments:Aquability is your complete dive shop, we train divers from Open Water to Technical Trimix diver level and now offer Kiss Rebreather training . As the largest provider of mixed gases in Victoria, we can provide a full range of air fills, nitrox & trimix. We also have a full equipment service centre, our retail shop is second to none providing for everyone from the Snorkeler through to Trimix divers. Our staff are out diving every weekend at the Ships Graveyard & on our world famous Lonsdale Wall. We also provide both local & international travel. Our close association with organisations like Heritage Victoria, MAAV and Southern Ocean Exploration is what brings us to the fore in Wreck & Technical diving in Victoria. As a Platinum facility our Training rating is the highest recognition for training, service and professionalism available in SCUBA diving. With a qualified Instructor Trainer we provide courses to expand your professional diving career whether it be Open Water Instructor thru to Trimix Instructor. Aquatic Adventures Rowville offers training in Technical Diving and Re-breathers with experienced instructors Please contact shop for details on Deep,Advanced Nitrox ,Technical and Inspiration and Kiss Re breather courses. 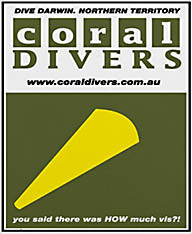 Comments: Coral Divers was the longest serving IANTD Diver Training Facility in the Northern Territory. 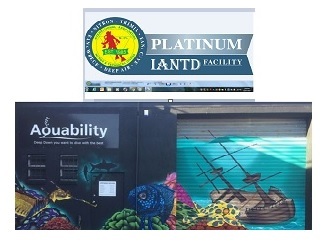 Please contact IANTD for any enquiries regarding past certifications .IANTD has independent instructors in the NT to cater for your diving needs . Comments: 5 star professional development centre. Boat Dives | Dive Trips | Rebreathers | Technical Diving | Sidemount | Learn to Dive | Cave Diving | Go Pro | Contacts. Site by AU Computers.Deep Blue Ventures offers all IANTD courses,and is a Silver Rated facility with an experienced and certified team led by Rubens a longstanding IANTD member. Comments: The dive shop in East New Britain for all your diving needs. We pride ourselves in providing excellent training . In conjunction with IANTD Australia we provide training in all aspects of SCUBA from Snorkeling to Open Water Diver .We are the only facility to offer IANTD training with local Instructors and Divemasters who have an excellent knowledge of Rabaul's waters.We also offer accommodation close to dive the many reef,wall dives and numerous World War two wrecks in and around Simpson Harbor .For more details please contact us . Comments: The store for all your diving needs. We are based at 9 Marina view, Mana, Porirua, Wellington. The first left as you come over the Paremata bridge when heading north. Our staff are friendly, passionate and excited about diving and we welcome you to come in, have a coffee, chat about diving and we will help you with whatever direction you wish to take with diving. Comments: At Ocean Divers we specialise in retail and sales, training from snorkelling through to Instructor level SCUBA courses including specialties, travel both interstate and overseas. We also offer equipment hire, air fills, Nitrox fills (2000 cf on storage), and on-site repairs and servicing including tank testing, as we are approved by Quality Assurance Services Australia.All IANTD courses available . Comments: Professional Diving Service has been operating in Portland and Melbourne since 1981,and now Albury NSW.Our staff has an array of commercial diving experience to offer. Comments:The total rebreather store in Sydney,specializing in all types of rebreathers and open circuit diving.Based in Mosman on the Northern side of Sydney,with the shop backing onto the harbor we have our own charter vessel. Operating 6 days a week with Mondays being closed we offer weekend dive boat trips with a diver lift to various wreck sites in the harbor and northern shores.The dive shop is fully equipped with mixed gases and servicing for your dive equipment.Barry is one of the founding members of IANTD in Australia and as an ITT can offer all aspects of Professional diver training from Open water to Trimix Instructor in Open circuit or Rebreathers. 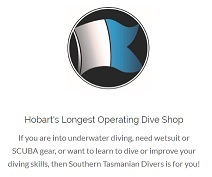 Comments: Southern Tasmanian Divers offers a full range of servicing and fills for all your diving needs . 1,032,305 Unique Visits Powered by PHP-Fusion copyright © 2003-2006 by Nick Jones.